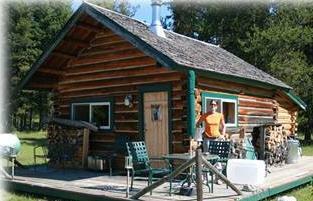 Glacier Country Vacation Rental Lake Front Estate - 3 Cabins with Private Lake! The book 'How It Looks Going Back' by Doris Knowles Pulis, was written about our property; it is literally a story-book escape. Enjoy your very own cabin-in-the-woods experience---complete with multiple cabins, towering Lodgepole Pine Trees with walking trails, a running river and private lake. We have hosted many family reunions at Cyara Cabins. With 3 separate fully equipped cabins, lake, woods and 220 acres: its a perfect place/large space to get away from it all and soak up family/friends, nature's clean air and deep colors---and enjoy scads of outdoor recreation. 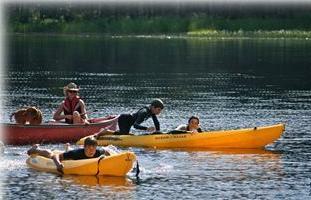 Have canoe races, dive off kayaks or use paddle boats to traverse the lake. Bring your mountain bikes, badminton or fishing poles; or enjoy the 'game room' with ping pong, board games and carpet ball. A river borders the property, allowing access for swimming, fishing and floating. A big fire pit by the lake offers a place to make s'mores, sing campfire songs and soak up Montana's Big Sky. Enjoy the tree-fort and hammock, walking trail around the lake and to a nearby waterfall. can cancel up to 1 week prior. Saturday to Saturday rental only. Hiking, waterfalls, fly-fishing; golf course 1 hour away (Libby). Silverwood Theme Park/Waterpark is 2 1/4 hours from property. Glacier National Park 3 hours from property. 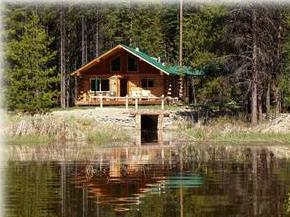 Catch-and-release fishing in private lake, mountain biking, large-scale water-gun-fights. 220 private acres, includes multiple cabins, private lake, river that borders 1/2 property for fishing, floating. Three separate cabins, plus a barn with ping-pong, futons, carpet ball, etc. Two paddle boats, swimming dock, 4 canoes, 7 kayaks, excellent fishing in lake and river. All private, great walking trails, fantastic for reunions. 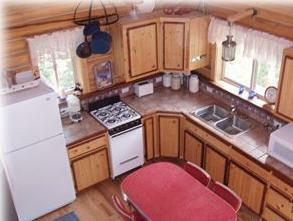 All cabins have fully-equipped kitchen, bathroom, BBQ, deck. Also: bikes available, life jackets and linens provided. Bonus: tree fort, great fire-pit by lake.